On a whim, my best friend and I went to Pompidou in Islington, London for breakfast. The vegetarian breakfast consisted of two slices of toast, two eggs, baked beans, mushrooms, two hash browns, grilled tomatoes (not in the picture because my friend doesn’t like tomatoes!) and a hot drink. 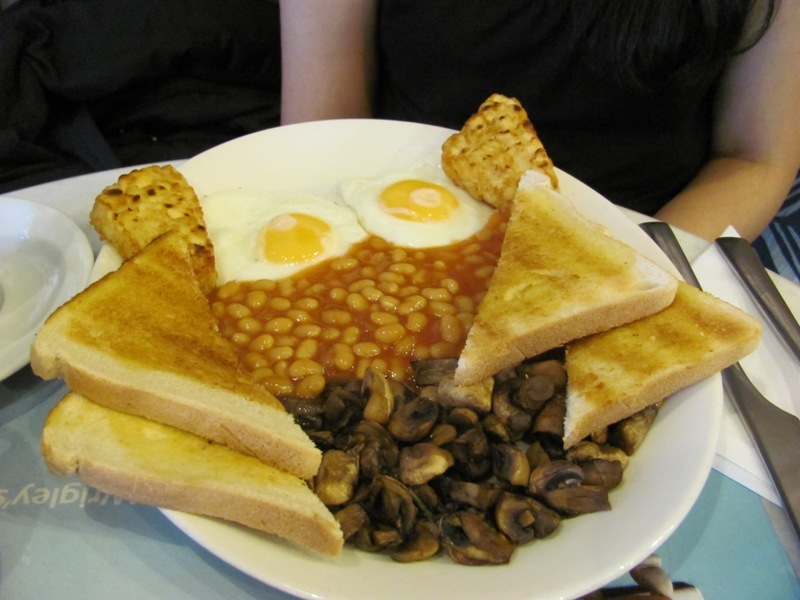 The non-vegetarian breakfast consisted of two slices of toast, two eggs, baked beans, mushrooms, two rashers of bacon, one sausage, a grilled tomato and a hot drink (Note: bacon and sausages in UK are pork. I thought they were beef when I first came here, having lived in Dubai all my life!). 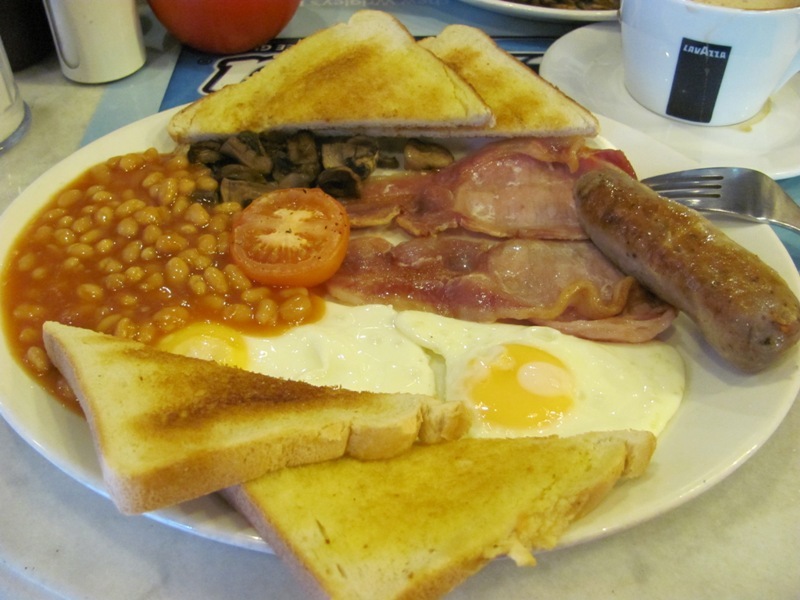 For £5.50, definitely a steal if you want a typical hearty English breakfast. And the café is small but has the friendliest people running it, which is a massive reason (apart from the food) behind me recommending it.